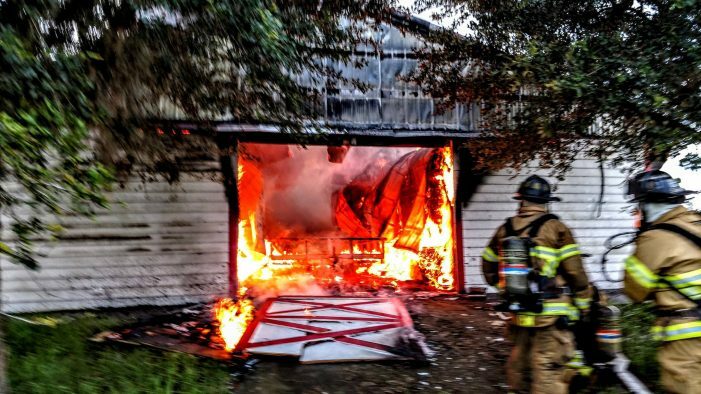 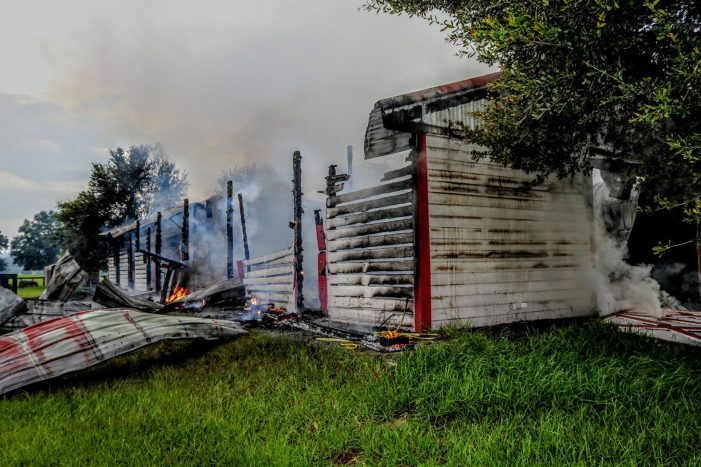 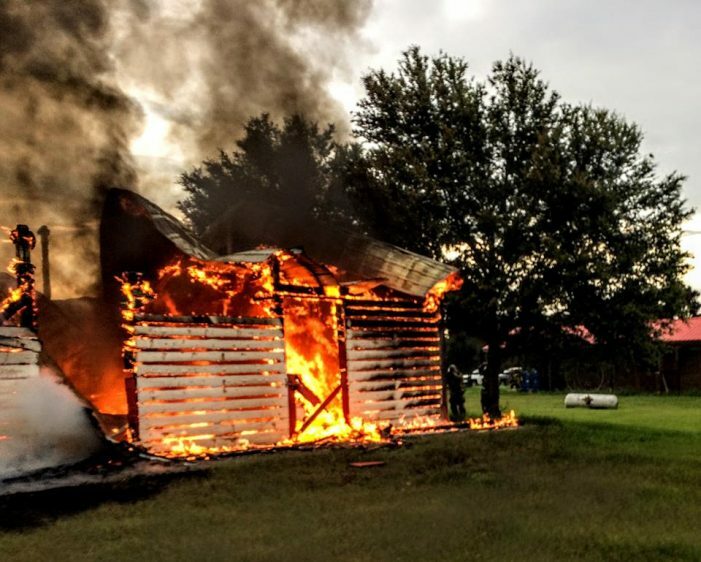 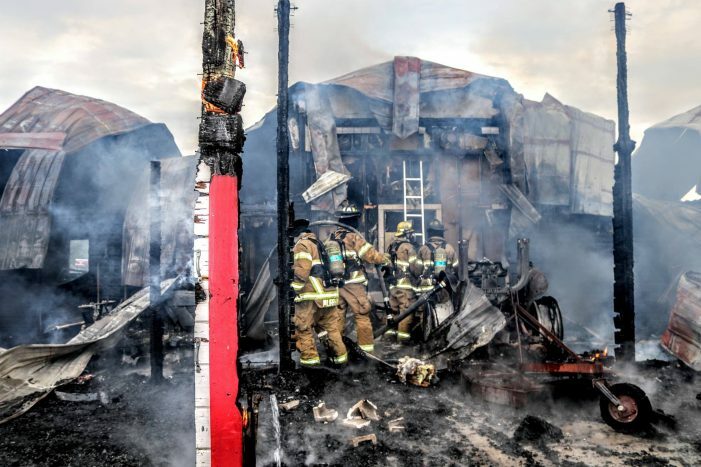 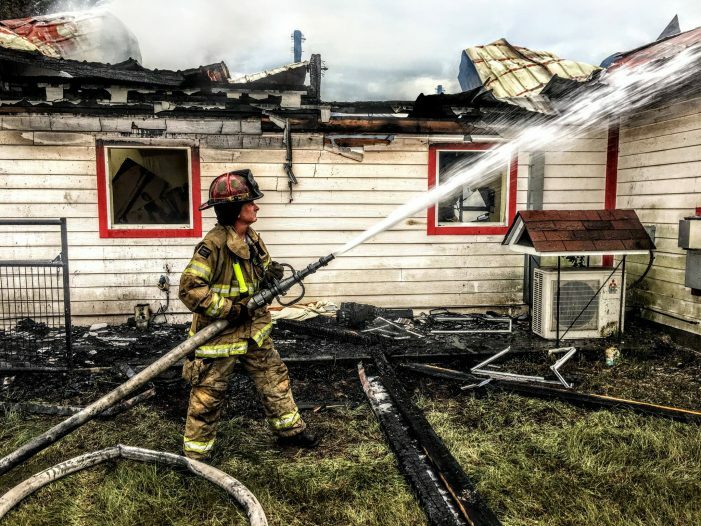 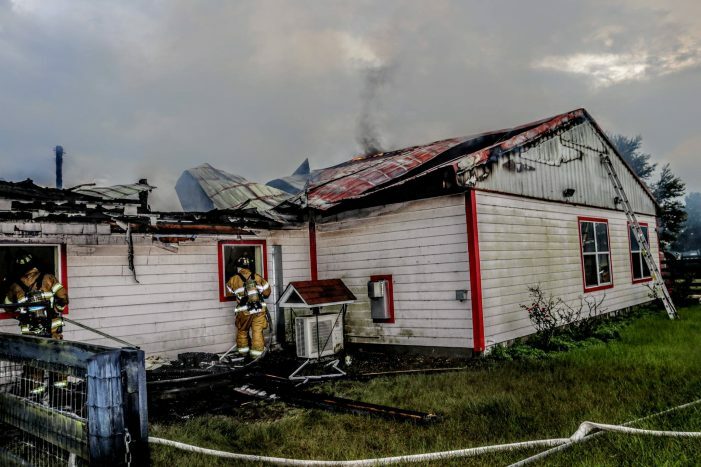 Marion County Fire Rescue firefighters said a residence and attached barn that had been struck by lightning was fully engulfed in flames by the time they arrived. 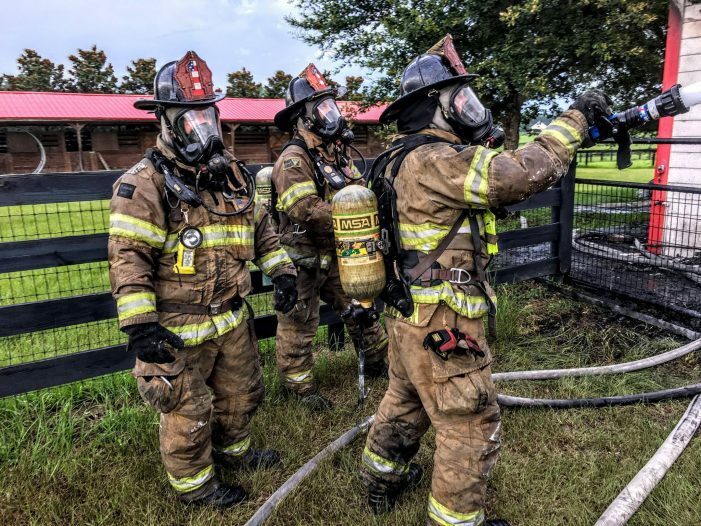 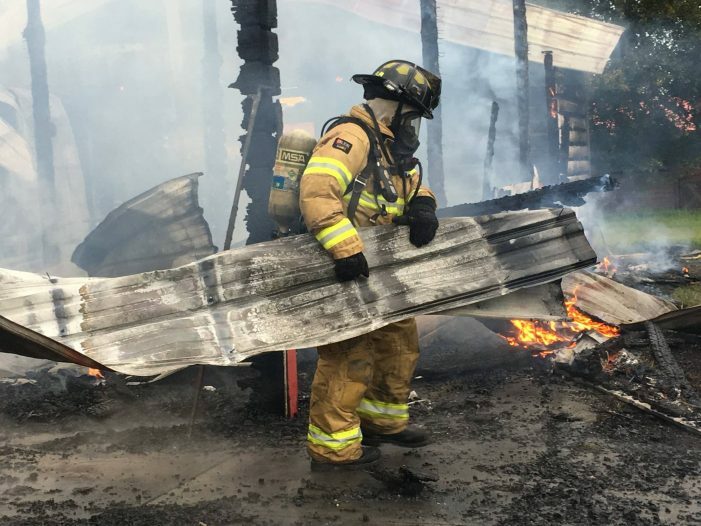 MCFR was dispatched to the 6900 block of Northwest 90th Avenue, Monday after a caller reported smoke and flames coming from the roof of a barn. 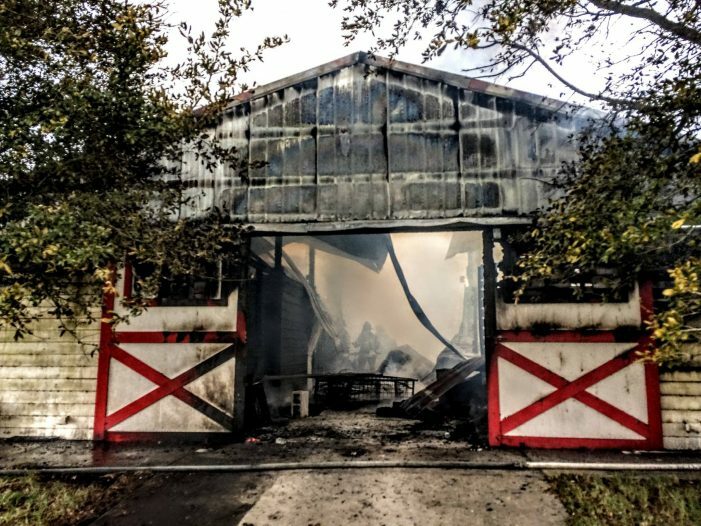 According to a MCFR press release, the call came in at approximately 5:15 p.m. and firefighters from Meadowood Farms Station 12 and Lowell Station 11 arrived on scene at 5:25 p.m. 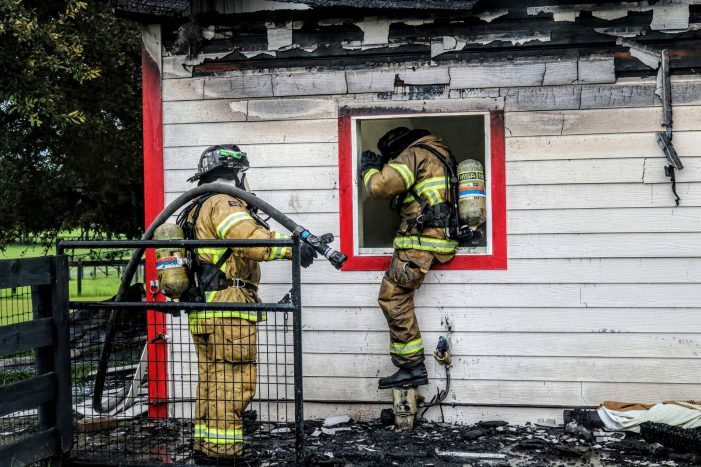 When firefighters arrived, the fire had already vented through the roof. 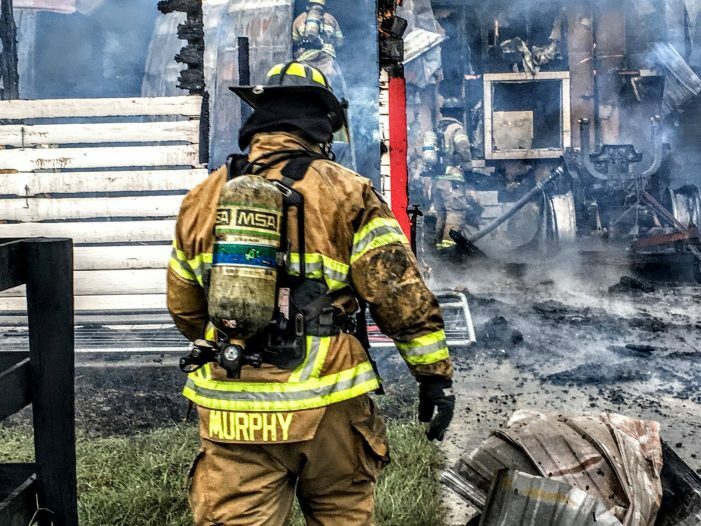 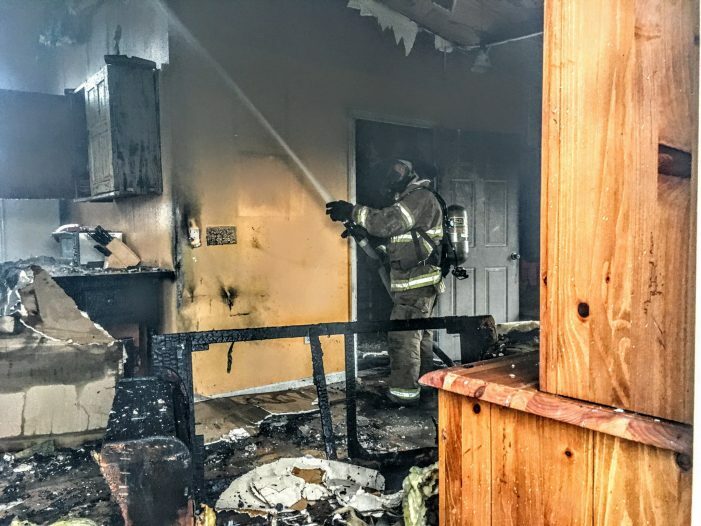 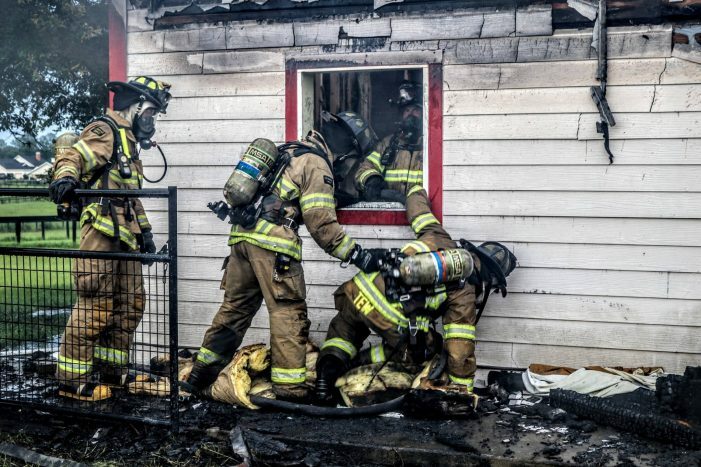 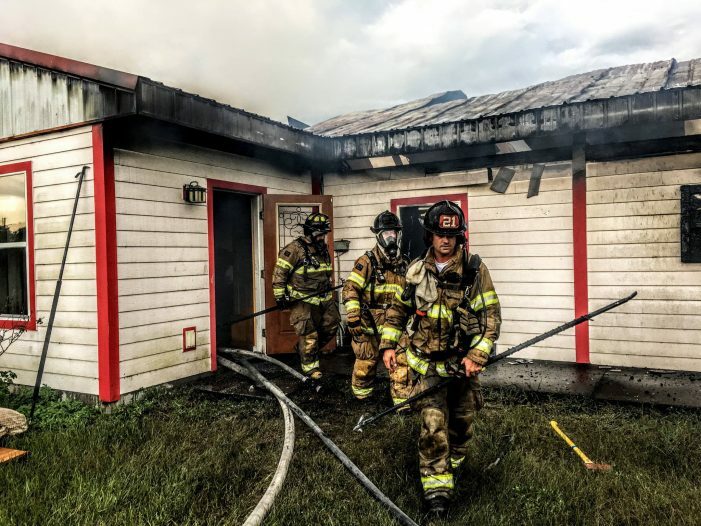 Firefighters from Friendship Station 21, Anthony Station 1, and Golden Ocala Station 20 arrived on scene, at which time they aggressively attacked the fire. 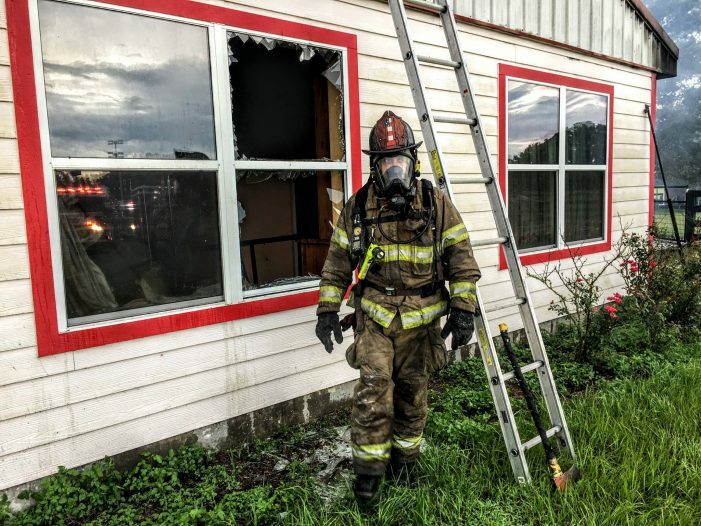 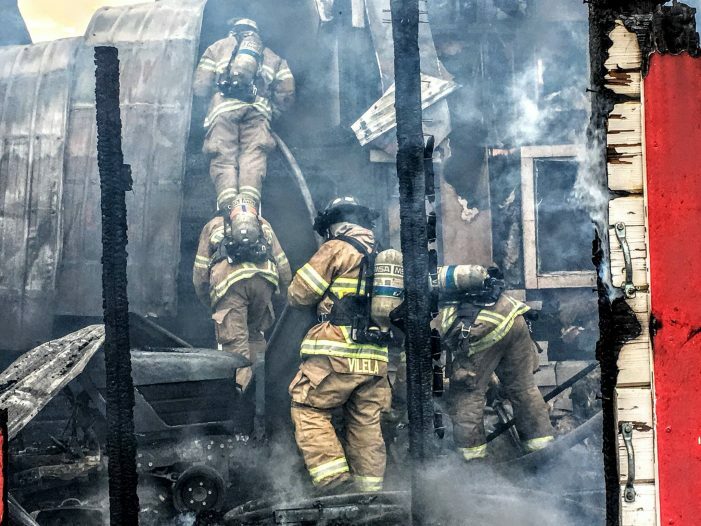 The fire was extinguished by 6:29 p.m.
During a sweep of the structure, firefighters found that a calf had been killed in the fire.